I acquired a copy of Way Down Dark at a publisher party, and I thought I had better pick it up since Hodder were kind enough to give it to me. It’s not a very big book, and not a whole lot happens, but it keeps you entertained throughout most of it, and then it ends on a giant The 100-esque cliffhanger and I need the next book NOW. Way Down Dark is set on a spaceship called Australia and the people living on board are struggling to survive. Australia left Earth in search of a new planet to live on, and life on board is getting worse and worse. There used to be fish and animals, but now they only really have plants and insects. Still, better than nothing, right? I’ll be honest, the majority of Way Down Dark consists of Chan, the main character who I’ll talk about in a minute, climbing up and down the different levels. It was frustrating, and kind of dull at some points until the action kicked in. The first quarter of the novel is basically “Chan climbed up to the 60th floor and then ran back down to the 41st and then went back to the 53rd”. Other little bits and pieces did happen, but not enough to keep me interested considering I had just been introduced to Chan and the spaceship. That said, once the action started happening, the novel really picked up. Like, really, REALLY picked up. There was blood and gore and fighting and a war going on and it was brutal. I loved it! I especially enjoyed Chan’s rivalry with Rex, and I’m looking forward to seeing how that aspect continues to play out in the next two books in the trilogy. Chan was your average YA dystopian protagonist. She’s strong (physically and mentally), she can fight, but she is hesitant to wield those skills how the others do because she’s a good person. She’s not a stand-out, but she’s not a bore either. I liked her well enough, and I totally respected her, especially as she had to kill her own mother on the first page. Yeah. I have to say, I took an educated stab at the twist very early on. And by early on, I mean I knew what the twist was going to be by page twenty. I don’t know whether to brag about my awesomeness, or tell you that this book is predictable, so I’ll let you form your own opinion on that matter. But- BUT, the turn-out was pretty great and I’m really glad what happened happened. 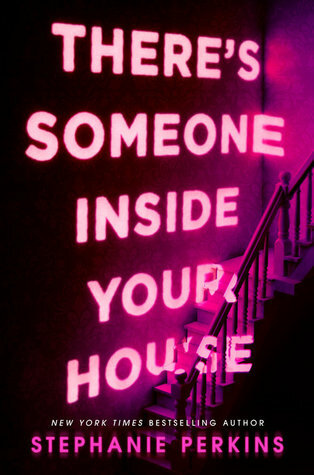 It made things very interesting, especially towards the end. 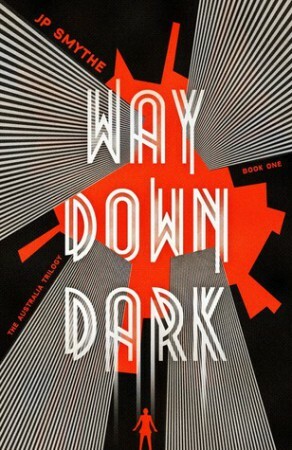 I would recommend Way Down Dark if you’re looking for a gritty and fast-paced read. Don’t expect it to blow your mind, but come along for the ride because I know that the next book is going to be hella interesting, given that ending.